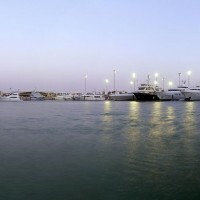 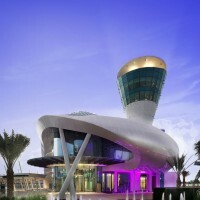 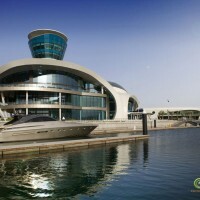 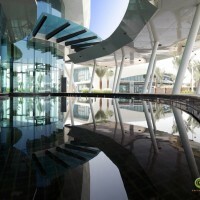 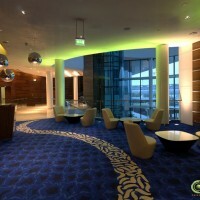 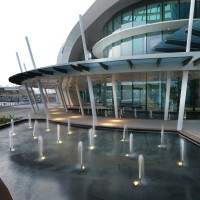 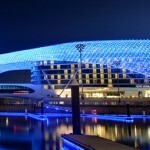 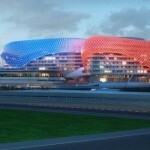 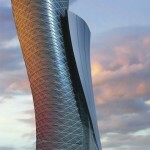 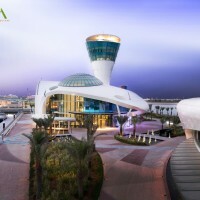 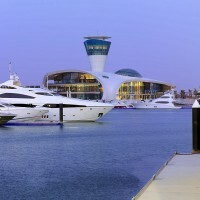 Omiros One Architecture have designed the Yas Island Yacht Club in Abu Dhabi. 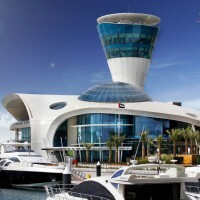 Incorporating various 5-star club uses including restaurants, bars, lounges, function rooms, outdoor decks and 45-metre observation tower, the Yacht Club (Building 1) is the more expressive and prominent of the two. 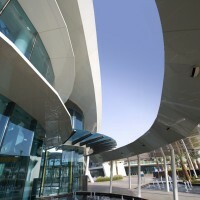 Building 2, the retail and administration component, features a waist-shaped glass internal courtyard and maintains a quieter profile. 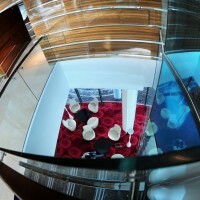 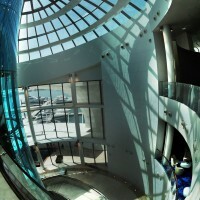 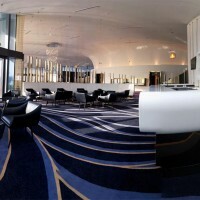 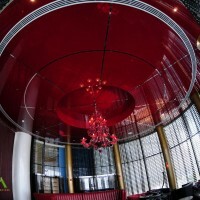 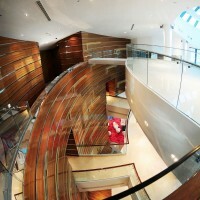 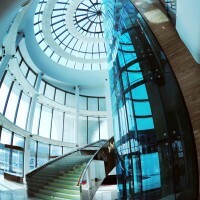 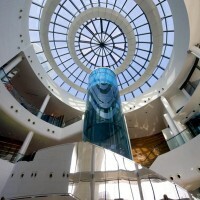 Inside, the grand foyer features a winding stair and curved glass water wall around the observation lift, the main volume capped by a glass dome some 15 metres above floor level. 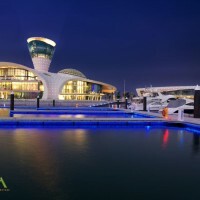 A three-level timber veneer and polished metal wall links the entry with the cigar bar, which commands views to the Canal and the Marina. 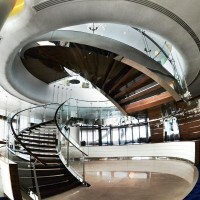 The upper level VIP Lounge incorporates private dining facilities, meeting areas and gathering spaces, all abstracted by a curved ceiling which follows the external skin of the building’s shell. 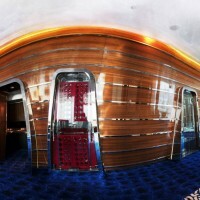 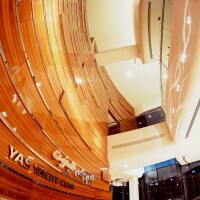 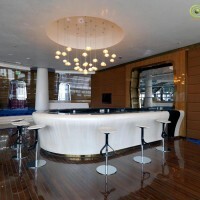 The ‘bow’ of the Yacht Club opens onto outdoor decks at all three levels. 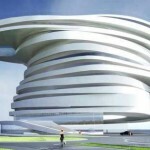 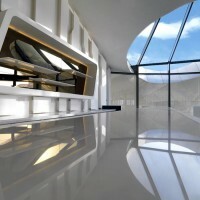 Visit the Omiros One Architecture website – here.